Driven by a host of technological improvements and general population growth, Teleradiology is now considered by many to be the next big thing in healthcare. This industry is expected to generate more than $8.24 billion in revenue by 2024, while ensuring better healthcare opportunities for rural and distant populations. Outsource2india is a leading provider of Teleradiology services and has been providing cutting-edge diagnostic Teleradiology solutions to global customers. Our panel of radiologists includes US Board Certified Radiologists, UK-FRCR Radiologists, Canada-FRCP-R Radiologists, Australian Board Certified Radiologists and Indian-MD Certified Radiologists. We offer a 2-phase Certified Reporting Service. Phase-1 where the image is read by two Indian MD certified radiologists and the case is reported in the required format. In Phase-2 the report is finally read by the Board Certified Radiologist for a final sign-off. The final report is provided to you either in your hospital or diagnostic center's letter head or our Board Certified radiologist's. These reports go through three stages of quality assurance. You can focus on building your business and increasing your patient base while we take care of all your reporting services. At Outsource2india, you can get access to reliable and cost-effective reports. In this model we simply act as a performance enhancement engine. If you are a radiologist group, a hospital or a diagnostic center with your own panel of board certified radiologists, envision expanding your performance in terms of the volume of cases you handle per day or the revenue you generate. Outsource to us your Phase-1 reporting where a junior radiologist does the initial reporting and a senior Indian MD radiologist reviews and sends it back to your radiology panel for a final sign-off. These reports will be as per the format you require and will be absolutely reliable. Outsource2india's radiologists who provide certified reporting services for hospitals in America, UK, Australia and India are board certified radiologists in the respective nations and in the case of US, in over 22 states. All our radiologists are licensed to carry out a practice within different states in the United States. Our radiologists have licenses in U.S states, such as, Indiana, Maryland, Nevada, Texas, New York, Wisconsin, Illinois, Colorado, New Jersey, Washington, Delaware, Oklahoma, Michigan, California, Kentucky, Pennsylvania, Connecticut, Louisiana, Georgia, Massachusetts, New Hampshire and Minnesota amongst others. At Outsource2india, we have an insurance policy that gives us protection throughout all the states in the U.S. Even if your hospital belongs to a state in which we do not have a license, we can obtain a license for that particular state and provide you Teleradiology Process with our world-class teleradiology services. Our radiologists have attended fellowship training in prestigious universities located in the U.S. They are well-trained in renowned medical schools and have wide-ranging experience in the field of Radiology. All our radiologists are also eligible for credentialing. Why Choose Outsource2india for Teleradiology Services? Outsource Teleradiology services to India and you no longer have to hunt for nighthawk radiologists, worry about the overflow of work during daytime, relieve nighthawk radiologists or find coverage for a radiologist on holiday. With our help you can get access to Teleradiology services for preliminary and final reports 24x7x365. 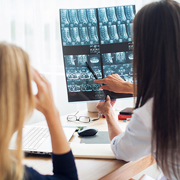 Our diagnostic radiologists are licensed, certified, American as well as fellowship trained, and are experienced in providing medical imaging services within short turnaround times. A leading group of radiologists based in the Caribbean wanted us to automate their STAT reporting process for over 200 reports in a month. Our team provided the services within a quick time. A leading medical imaging company approached us with a requirement of quick teleradiology services. Our team of teleradiologists provided the services in no time. At Outsource2india, we pride ourselves in staying ahead of the curve especially when it comes to offering our unique services to clients around the globe. With our help, you can gain an efficient partner who is always ready to back up your business pursuits. Discover more about the advantages of outsourcing Teleradiology services to Outsource2india. Still have doubts about outsourcing? Read some of the answers to Outsourcing Teleradiology Services FAQs. Contact us to outsource Teleradiology services right now! 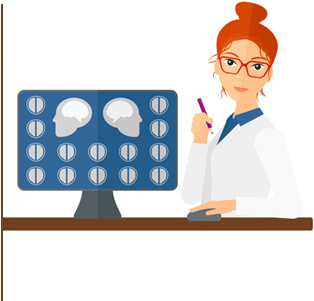 Read our article which highlights the key benefits of PACS and how it is proving to be a decision support system for radiologists.